Shameless is an American comedy-drama television series based on the British series of the same name created by Paul Abbott which follows the dysfunctional family of Frank Gallagher, a single father of six children. While he spends his days drunk, his kids learn to take care of themselves. William H. Macy plays a far-from-stellar working class patriarch of an unconventional Chicago brood of six motley kids (headed by eldest sibling Rossum) who keep the home afloat while he's out drinking and carousing. When Frank Gallagher's not at the bar spending what little money the family has, he's stirring up trouble. But he's not the only one who keeps things interesting. Lip uses his smarts to get what he can, Ian's exploring alternative sexuality, Debbie's got her hand in the donation jar, Carl's breaking every rule he can find, and toddler Liam's just along for the ride. Good thing the family has Fiona, the eldest daughter who dutifully keeps them all together, even as she tries to figure out where and how she fits in to her own life. 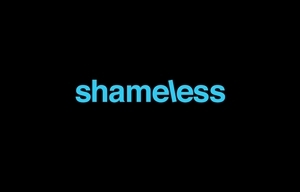 Based on the long-running hit UK series, Shameless is executive produced by Emmy-winning television and film producer John Wells, as well as Andrew Stearn and Mark Mylod. Wells developed the series for American television, with the UK series creator Paul Abbott serving as an Executive Consultant. The series is produced by Bonanza Productions, Inc. in association with John Wells Productions and Warner Bros. Television. CHANNEL: M-Net | Frank comes out of a drug-induced haze and decides it's finally time to be a contributing member of society.